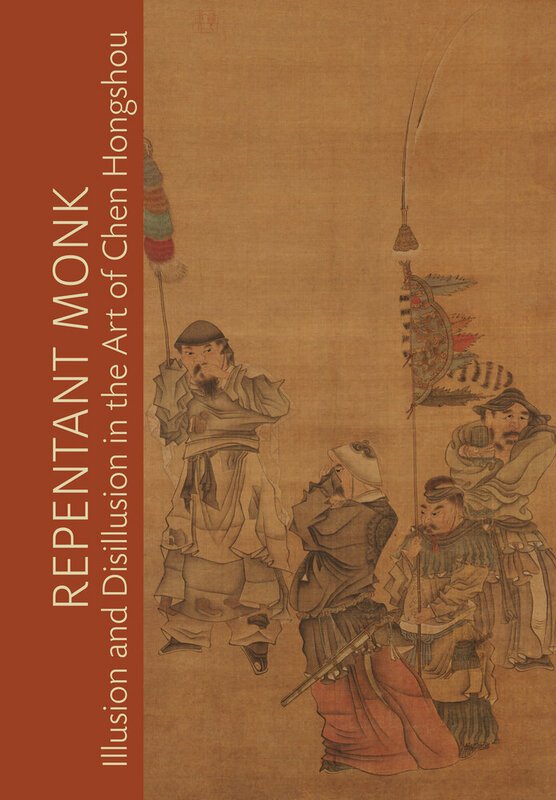 Repentant Monk: Illusion and Disillusion in the Art of Chen Hongshou is the first U.S. exhibition focusing solely on Chen Hongshou (1599–1652), a major figure in Chinese painting. 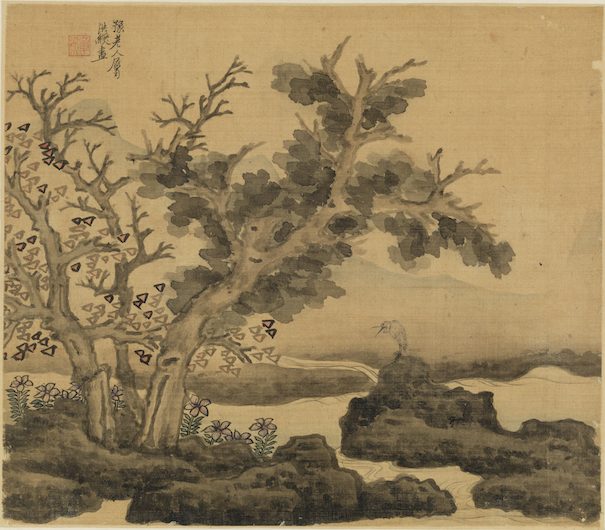 Chen has long been regarded as one of the most visually exciting artists of his time as evidenced in this exhibition by a careful selection of his best extant work including figure, landscape, and bird and flower paintings drawn from collections world-wide. Chen’s iconic manner of painting figures in the styles of ancient masters lends an aura of antiquity to his work which is equally charged by distinct expressions of irony, humor, and pathos. In his landscape paintings we recognize his vast knowledge of past traditions while in his bird and flower paintings we see a remarkable freshness and modernity that has tremendous popular appeal. 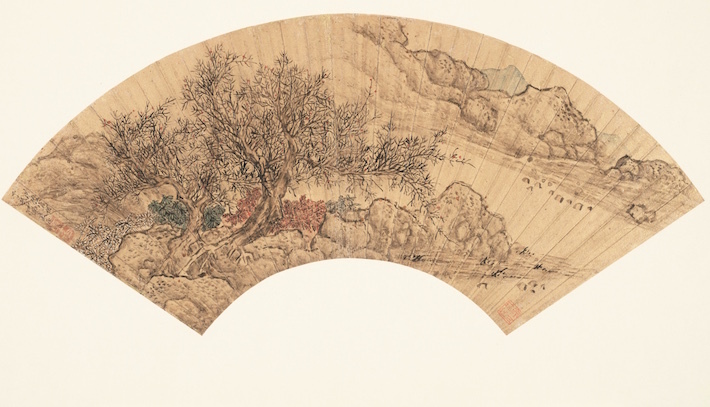 Repentant Monk addresses the need for a greater historical understanding of this artist’s work and breadth of paintings made during the transitional period of the late Ming and early Qing dynasties (early to mid- seventeenth century). 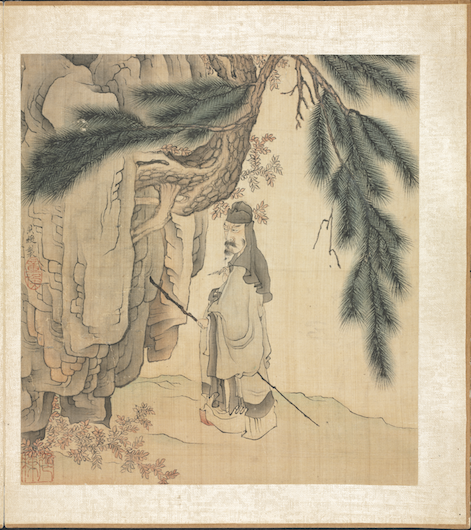 The title refers to the sobriquet that Chen adopted in 1646, and goes to the heart of the exhibition content. 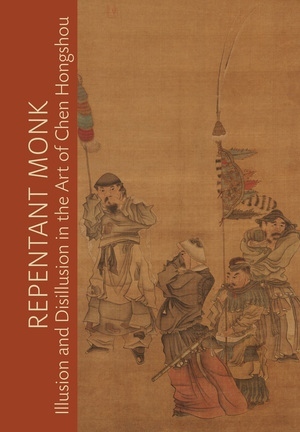 Chen used "Repentant Monk" (Hui Seng) in seals and signature for a short period of time but his paintings reflected his personal state of mind throughout his later period. His withdrawal from society and adoption of this name make public both his disappointment with the Ming as well as his own regret at surviving and carrying on into the new Qing dynasty rather than following other loyalists to death by their own hands. 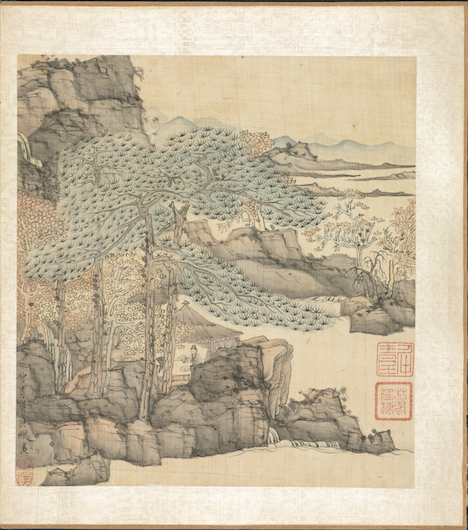 The exhibition will include work from major museums worldwide and includes strategic loans such as Elegant Gathering (1646–47) from the Shanghai Museum, Scenes from the Life of Tao Yuanming (1650) from the Honolulu Museum of Art, and The Mountain of Five Cataracts (1624) from The Cleveland Museum of Art. The catalogue includes an introduction by exhibition curator Julia M. White with essays by Tamara Bentley, Shi-yee Liu, Richard Vinograd, Hiromitsu Kobayashi, and Patricia Berger. Transcriptions and translations are compiled by Julia Jaw. Julia White is senior curator for Asian Art at Berkeley Museum of Art Pacific Film Archive. She is the author of Beauty Revealed: Images of Women in Qing Dynasty Chinese Painting. 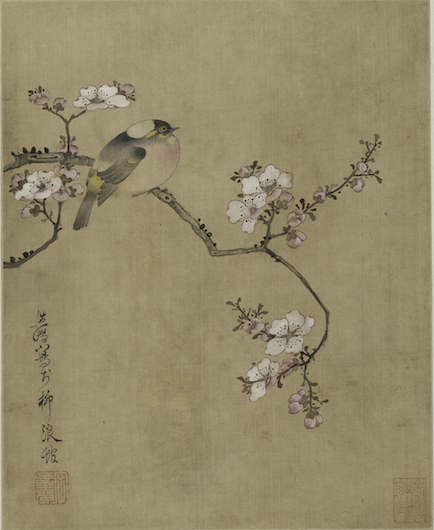 Chen Hongshou: Bird and Flowers, 1633; album of ten leaves, ink and color on silk; 9 7/8 x 9 7/8 in. (25 x 20 cm). Shanghai Museum. Chen Hongshou: Album for Monk Yu, 1650; Album of nine leaves, ink and color on paper; each leaf: 10 x 11 5/8 in. (25.5 x 29.5 cm). Honolulu Museum of Art, Purchase 1966.